Clean, intense aroma and bone-dry taste with an appealing flavor of Golden Delicious apples. Fresh, pure and complex white grapefruit, guava, green apple, honeydew melon and mineral aromas. Boasts fresh, fragrant, apple, melon and pear aromas with a hint of oak spice. Beautifully balanced, yellow apple, nectarine and honeydew melon flavors with spicy oak tones. Aromas of fresh Fuji apple and Asian pear entice the nose, laced with intriguing hints of lemon custard with French oak tones. 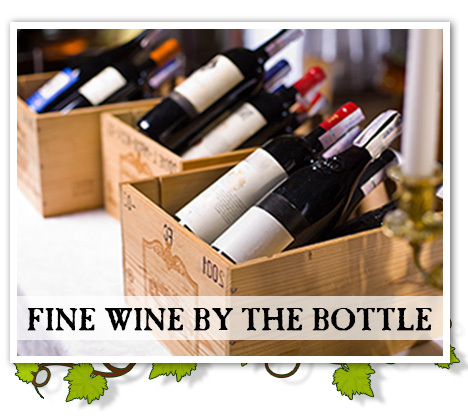 Red-Fruited aromas and flavors with the trademark touch of sweet oak on the finish. Floral and fresh fruit aromas. A mix of plum, blackberry and chocolate, finishing with notes of pepper and spice. Dark red/black in color, aroma of raspberries and warm baking spices, leading into cassis and clove. Silky tannins and well balanced acidity. Aromas of black cherry, plum and hints of vanilla. Medium bodied mouth feel with round, satin-like tannins. The aromatics of this classic field is like a bunch of summer fruit, strawberry, raspberry, fig, and huckleberry. Don Q, Bacardi 151, Bacardi Gold, Don Q Coconut, OJ, Pineapple, Grenadine. Don Q, Myers, Triple Sec, Pineapple, Sour, OJ. The authentic classic! Light ginger bite and a touch of lime. Goslings dark rum and ginger beer.